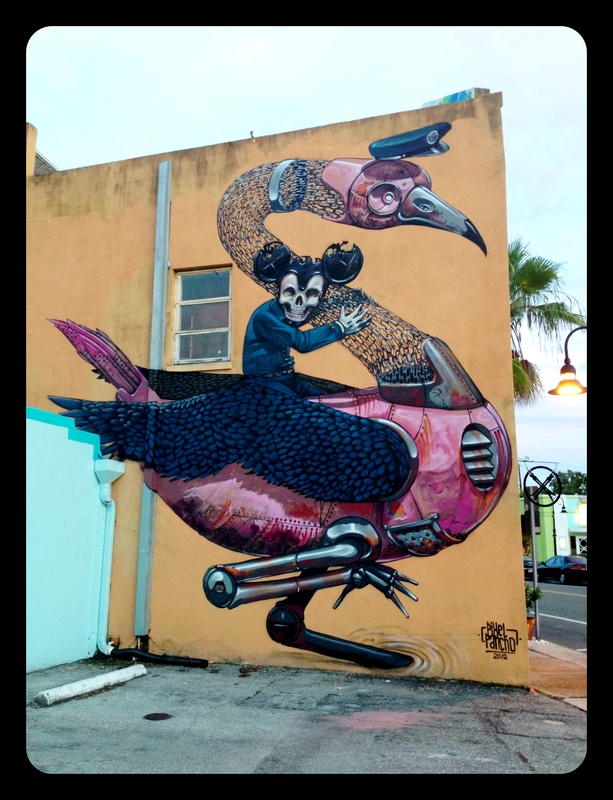 The urban landscape of Sarasota is constantly changing. 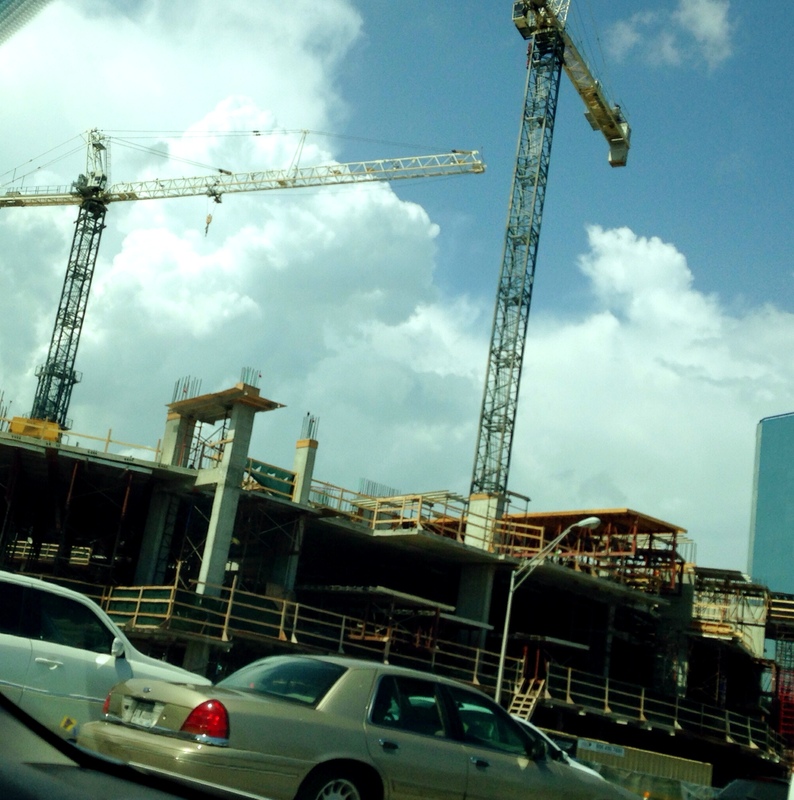 This is very evident as you drive around the bayfront. 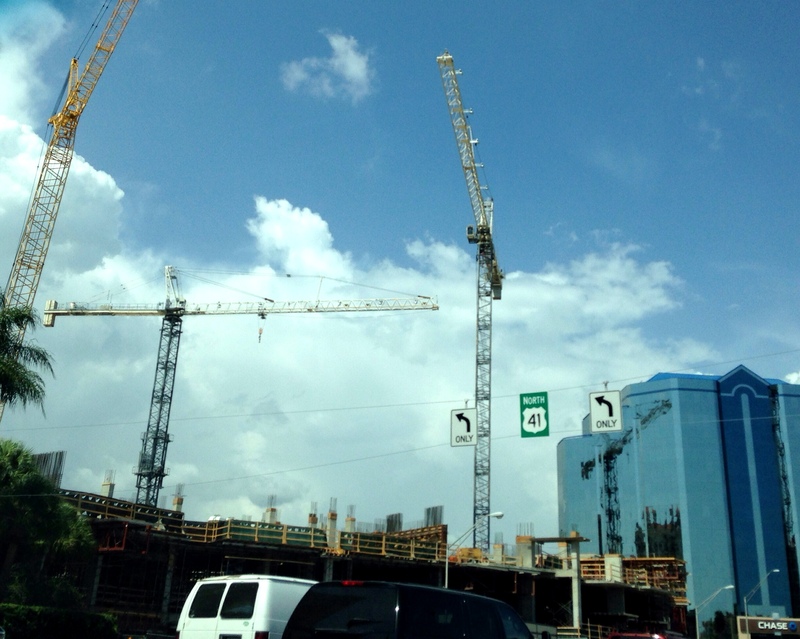 Everytime I go downtown, I see another building going up. 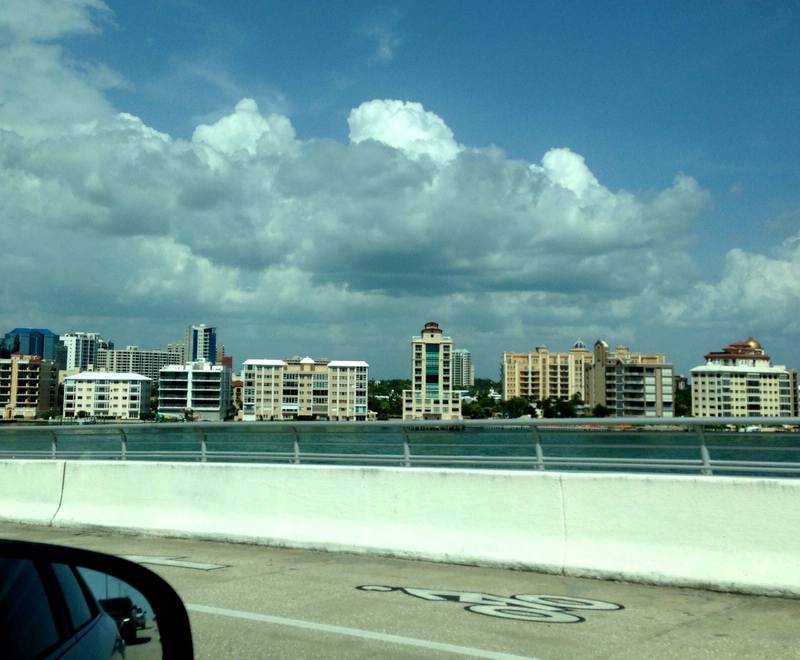 This is what you see as you approach downtown from the John Ringling Bridge. 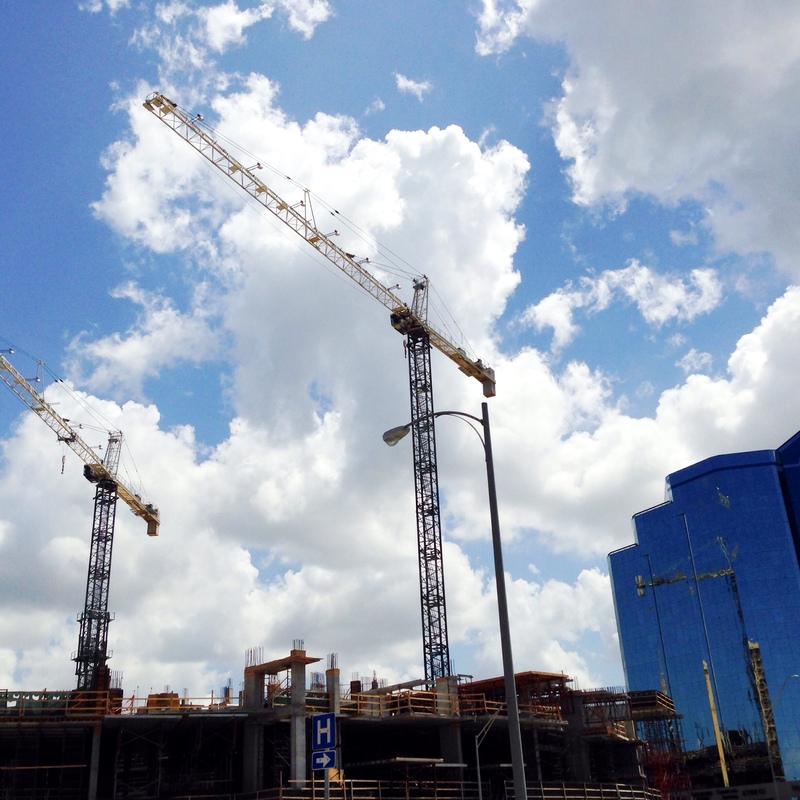 The newest construction project is to the left as you approach Highway 41 (locally known as the Tamiami Trail). 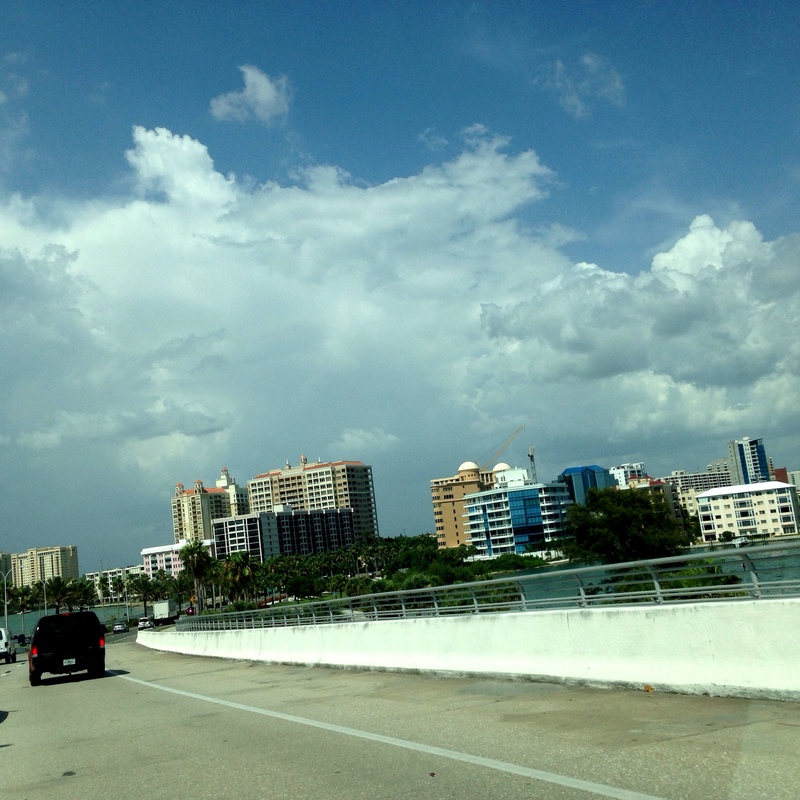 The building is on the corner and it curves north along the Tamiami Trail. 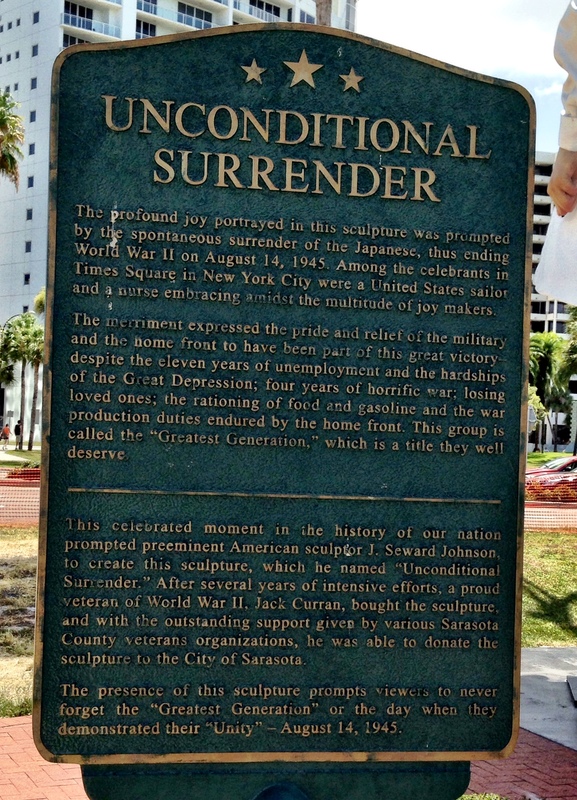 And if you turn to the right, you will see the “Unconditional Surrender” statue that I featured in my previous blog. 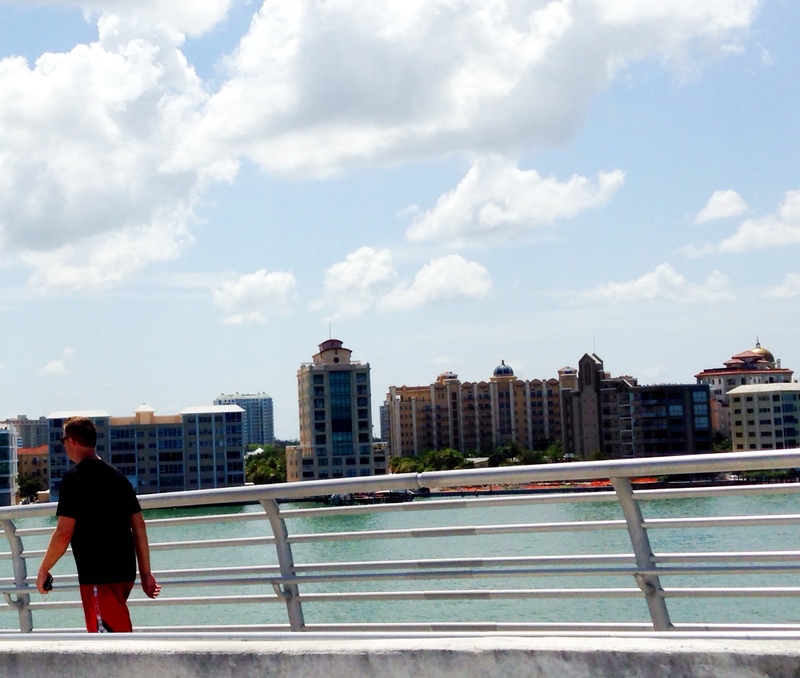 The backdrop from one side of the statue is Sarasota Bay and the opposite view is of highrise condominiums downtown, as the Tamiami Trail turns south. 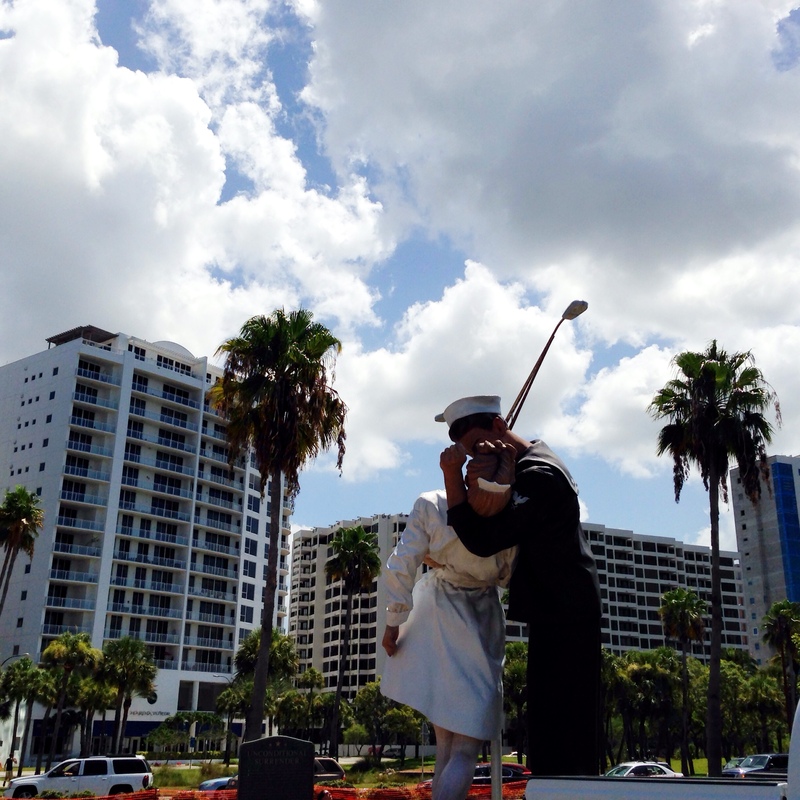 Categories: 52 week photo challenge, Architecture, Downtown Sarasota, Florida | Tags: buildings, condominiums, construction, Highway 41, John Ringling Bridge, Tamiami Trail, Unconditional Surrender statue, Urban scenery | Permalink. 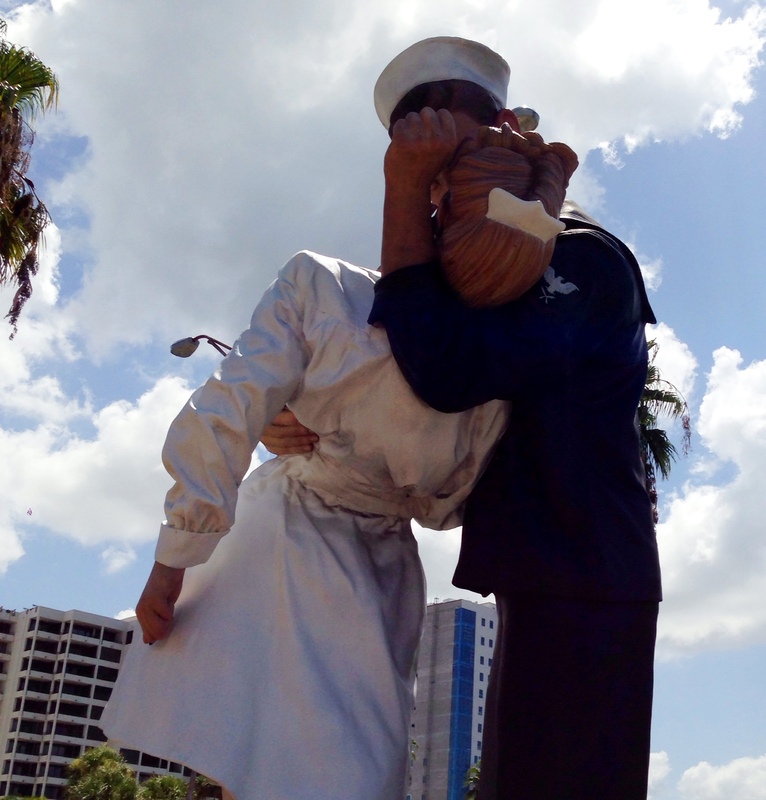 This statue on the Sarasota Bayfront, named “Unconditional Surrender”, was inspired by the photograph that Albert Eisenstaedt took in Times Square in New York City of this spontaneous kiss when President Harry S Truman announced the end of the war on Japan. Eisenstaedt was walking through the crowds on Times Square looking for pictures when he saw a sailor kissing every lady he could find – young and old alike. As he put his arms around a nurse, Eisenstaedt snapped a picture. 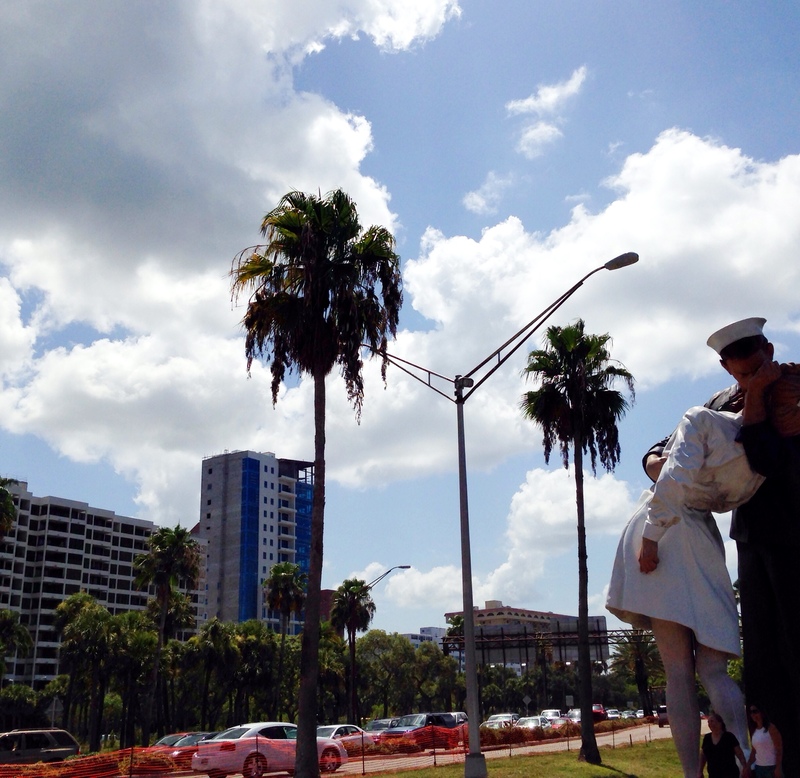 Media photographers encouraged service personnel to pose in kissing pictures during the war, but Eisenstaedt was caught up photographing rapidly changing events as throngs of people crowded into the square and never had a chance to get the name of the American sailor kissing a woman in a white dress. This photo was published a week later in Life magazine, as a full page, opposite another page of three other kissing poses in Washington D.C., Kansas City, and Miami. The photograph has been known as V-J Day in Times Square, V-Day, and The Kiss. The identity of the kissers has not been determined. 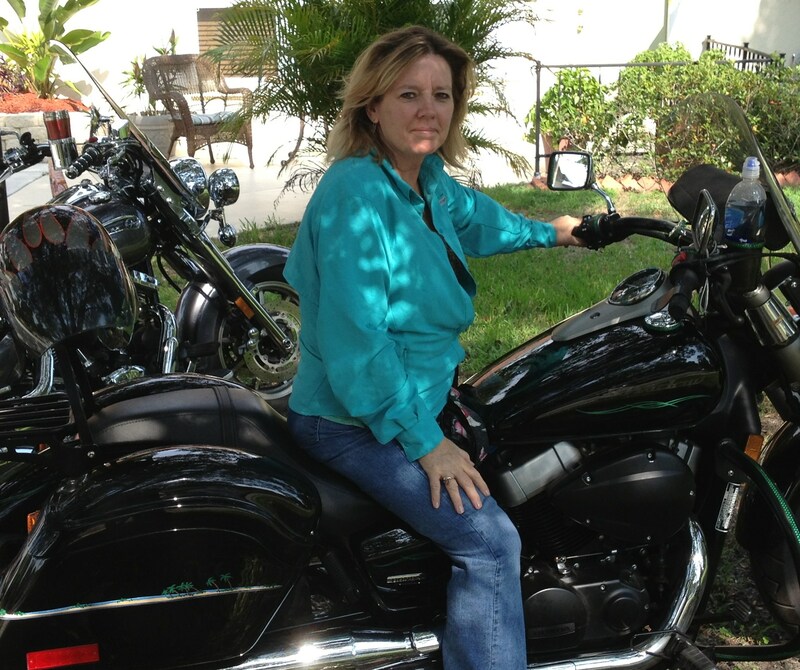 Many have come forward and claimed to be the nurse or the sailor with supporting evidence, but it remains a mystery today. 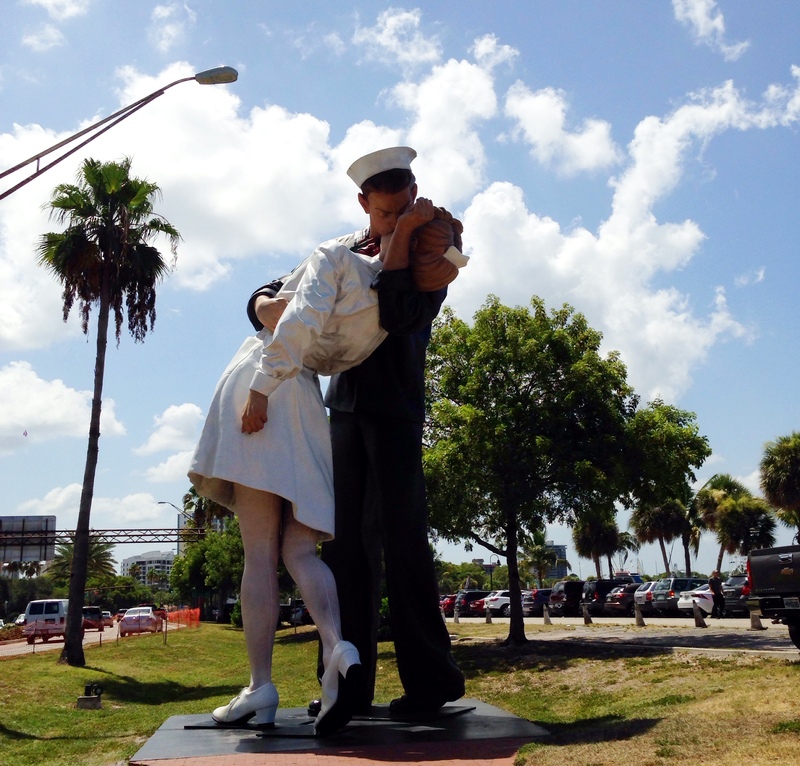 Categories: 52 week photo challenge, Downtown Sarasota, Sarasota, Sarasota Bayfront | Tags: "Unconditional Surrender", Kiss statue, nurse, photographers, President Harry S Truman, sailor, statue, V-Day | Permalink. 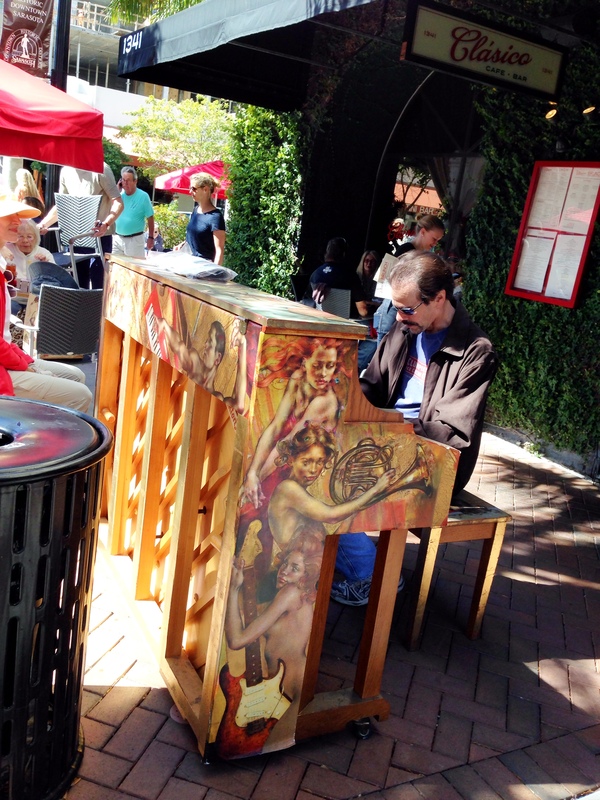 This is a weekend of parades around the country. 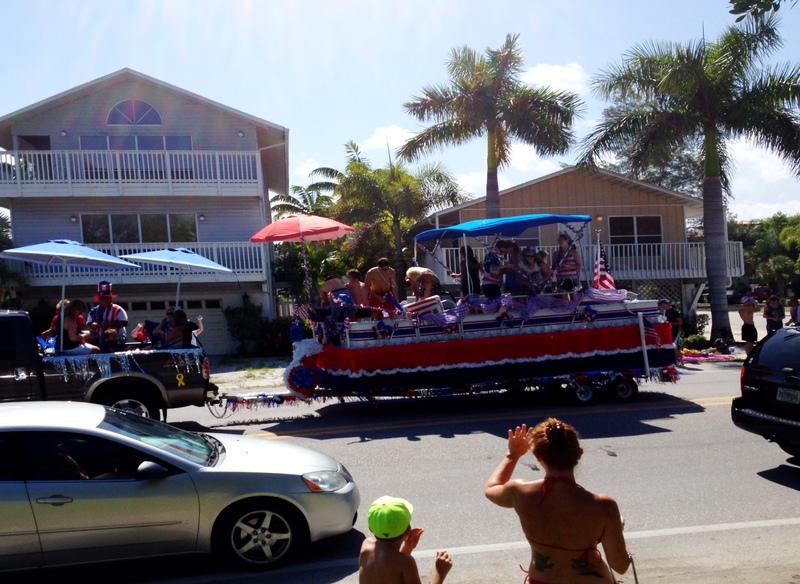 Of course “small town America” has a lot of July 4th parades. 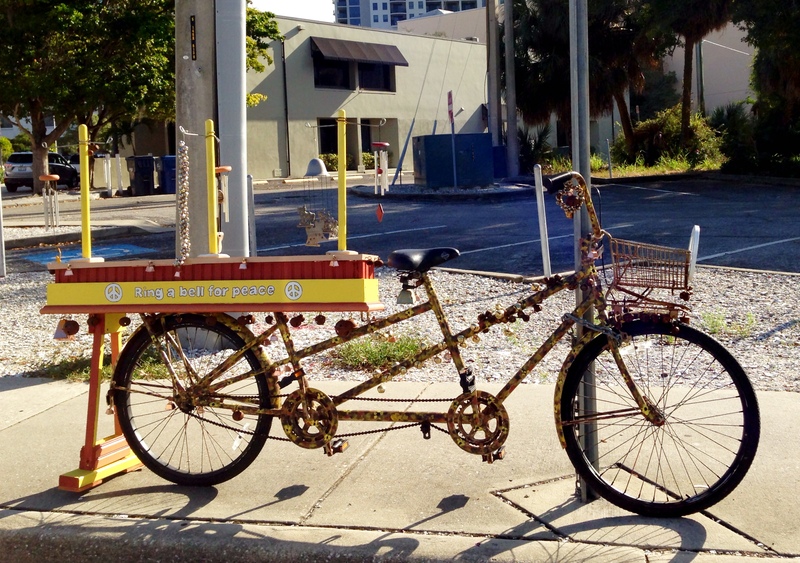 And when you live in Florida, it’s not unusual to see boats as floats. 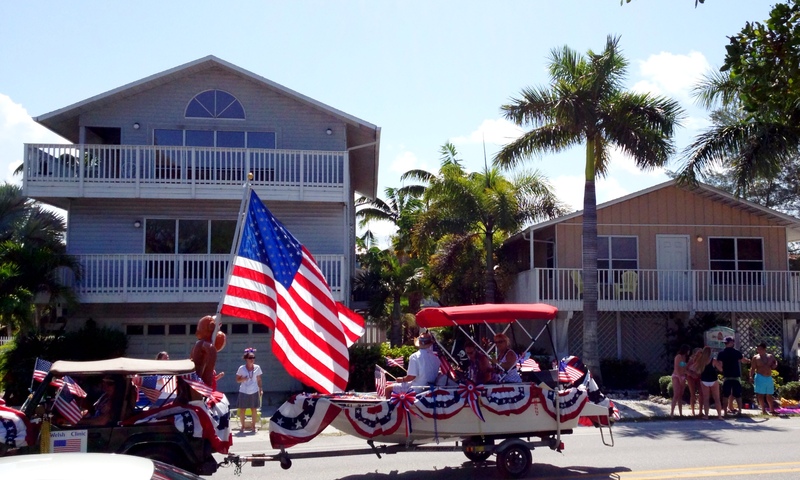 This was a 6 – mile parade route down Anna Maria Island the morning of July 4th. 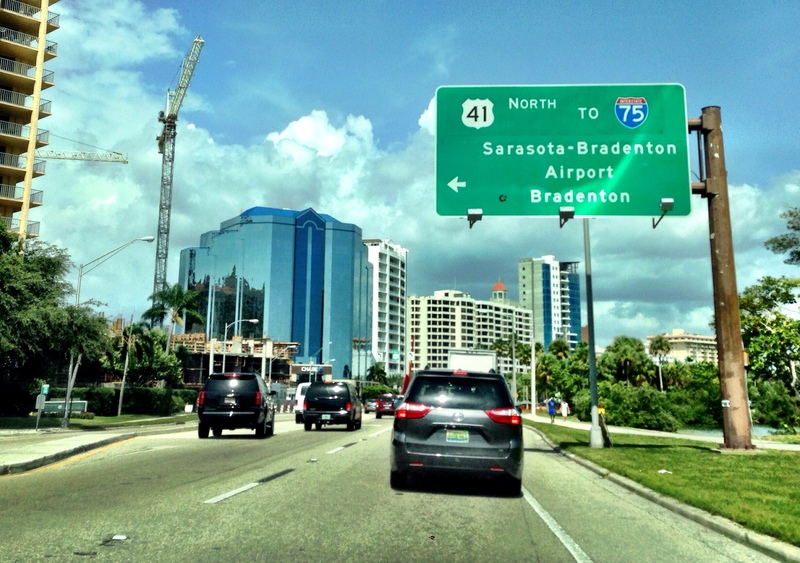 The evening of July 3rd is another kind of parade in Sarasota. 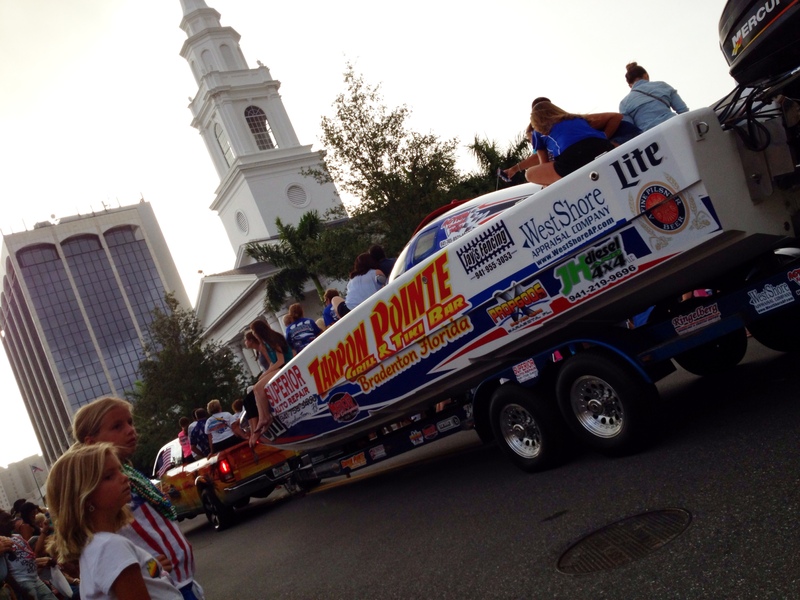 The Annual Parade of Boats showcases the boats that have arrived in town on the Offshore Grand Prix circuit. 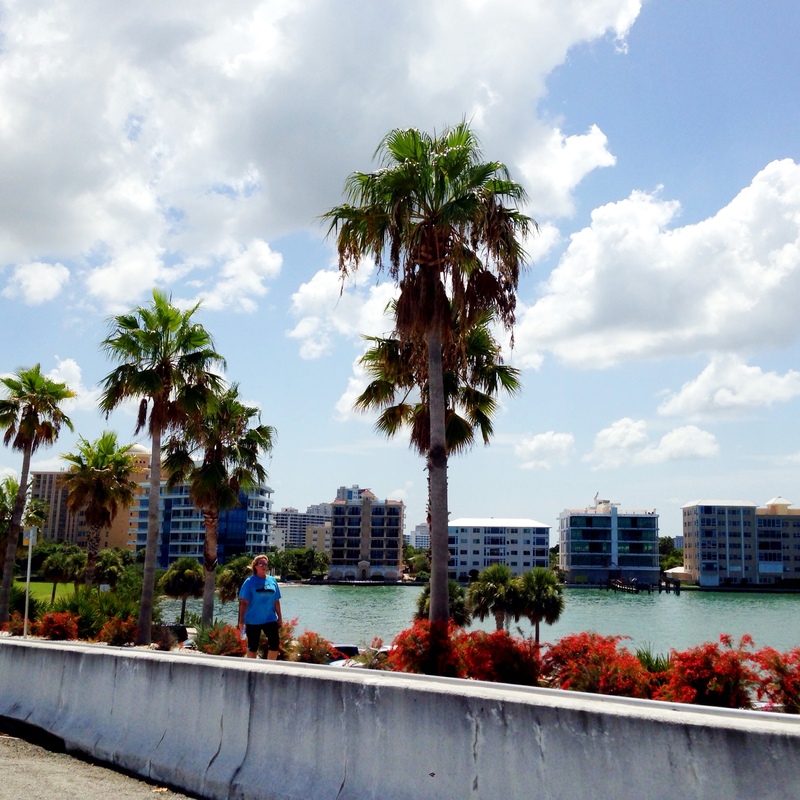 The 30th Annual Suncoast Super Boat Grand Prix Festival spans over a week and culminates over the July 4th weekend with the Sarasota Boat Races on Sunday. 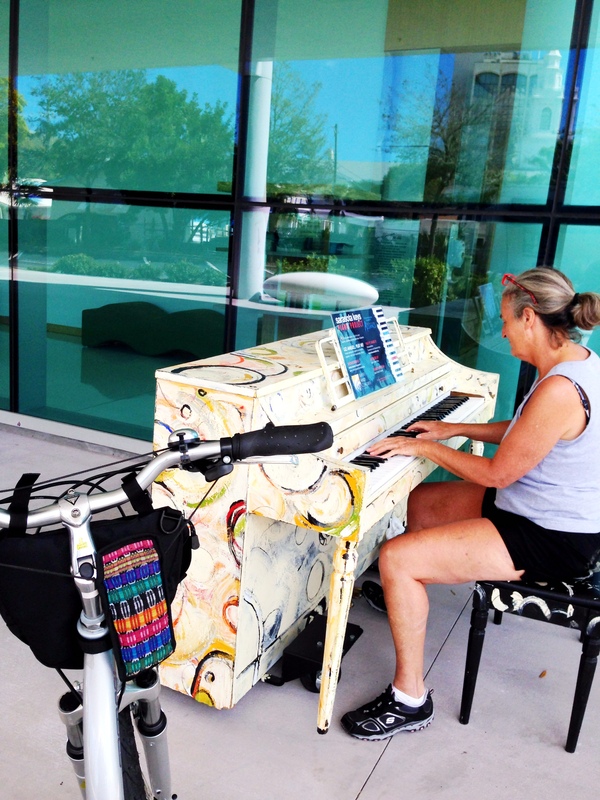 Since 1984, this event has raised millions of dollars to build facilities for physically and mentally challenged individuals in our community. The offshore race will cover 6 1/2 miles off Lido Key Beach. There are two heats on race day (11:00 and 1:00) and they typically last about an hour each. Fans will watch the racing boats reach 100 miles per hour on the straight-a-ways while helicopters keep a watchful eye above. 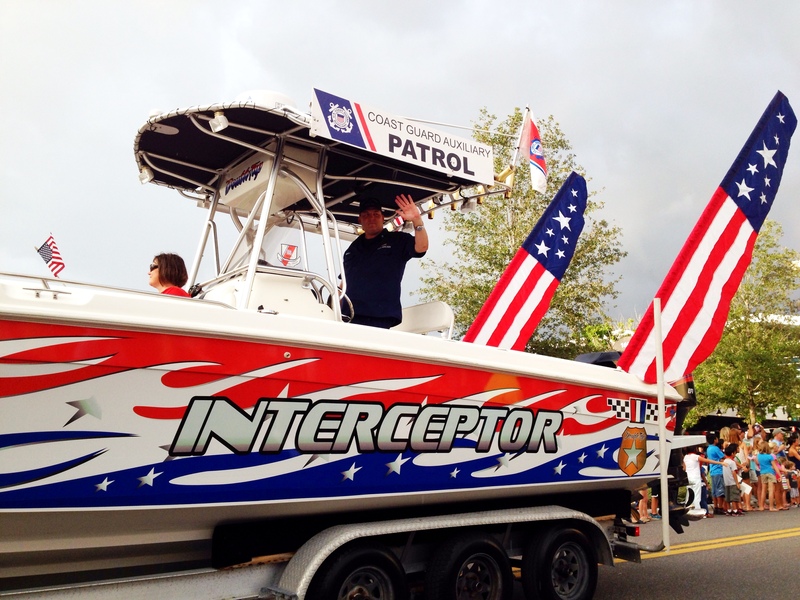 The Annual Parade of Boats down Main Street on Thursday night is an opportunity for the public to see the boats up close. The boats are on display again at Powerboats by the Bay at Centennial Park on Saturday. 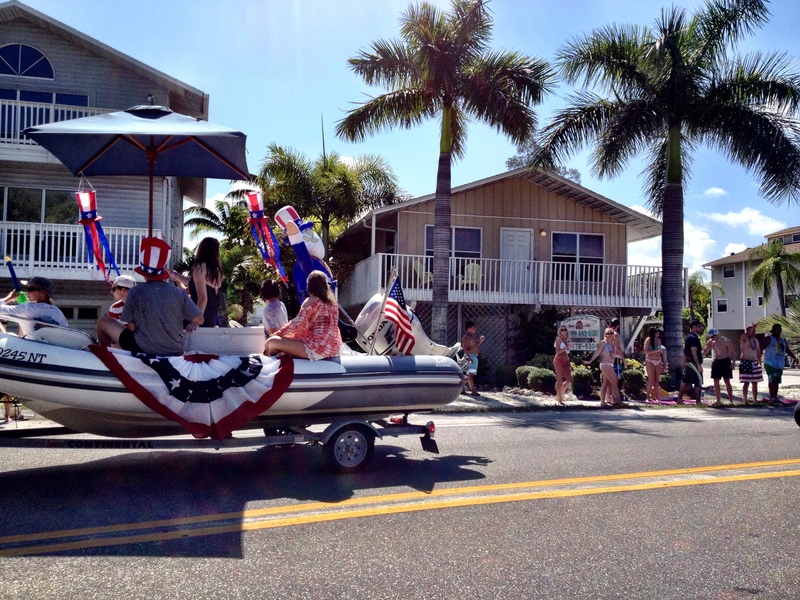 Categories: 52 week photo challenge, Beach, Downtown Sarasota, Florida, Sarasota | Tags: 4th of July parades, And I won't forget the men who died who gave that right to me., And I'm proud to be an American where at least I know I'm free., Anna Maria Island, boat floats, Lee Greenwood song, Lido Key Beach, Parade of Boats, Powerboats by the Bay, Sarasota Boat Races, Suncoast Super Boat Grand Prix Festival, Tarpon Pointe Grill and Tiki Bar | Permalink.